Over the next three years other journalists such as John Buchan, Valentine Williams, Hamilton Fyfe and Henry Nevinson, became accredited war correspondents. To remain on the Western Front, these journalists had to accept government control over what they wrote. 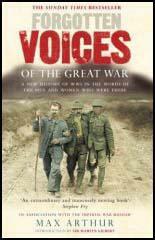 Even the disastrous first day of the Battle of the Somme was reported as a victory. William Beach Thomas later commented that: "The censors would not publish any article if it indicated that the writer had seen what he wrote of. He must write what he thought was true, not what he knew to be true." He admitted that he was "deeply ashamed of what he had written" but Philip Gibbs defended his actions by claiming that he was attempting to "spare the feelings of men and women, who, have sons and husbands fighting in France". (1) In the early months of the war the War Office tried to prevent journalist in France from sending reports back to England. Philip Gibbs was arrested at Le Havre on the way back to the Western Front. (2) C. P. Scott, recorded in his diary comments made by David Lloyd George after he had heard Philip Gibbs speak at a private meeting on 27th December, 1917. (3) In 1917, Lord Northcliffe, the owner of the Daily Mail, wrote to Hamilton Fyfe, who was reporting the war on the Eastern Front.